If we think about all our favorite brands, the image of logos are usually pretty clear in our heads. On the other hand, when we encounter a logo of a brand we like or dislike, we can easily associate it with a past experience that led to such a conclusion. This goes to show how powerful a logo design has on a brand. So powerful, they are almost interchangeable. However, it’s important to note that the logo is not the brand. It is simply an aspect of that brand; albeit, a very huge one at that. A logo is the symbolic figure that represents what your company stands for (literally and/or figuratively), or who you are as a professional. It is distinct, recognizable, and must be unique. Thus, it’s only reasonable that the process of logo designing can be very tedious and require a huge amount of research, detailed planning, and meticulous designing. Even then, there is the possibility of having to repeat the cycle at the last minute. 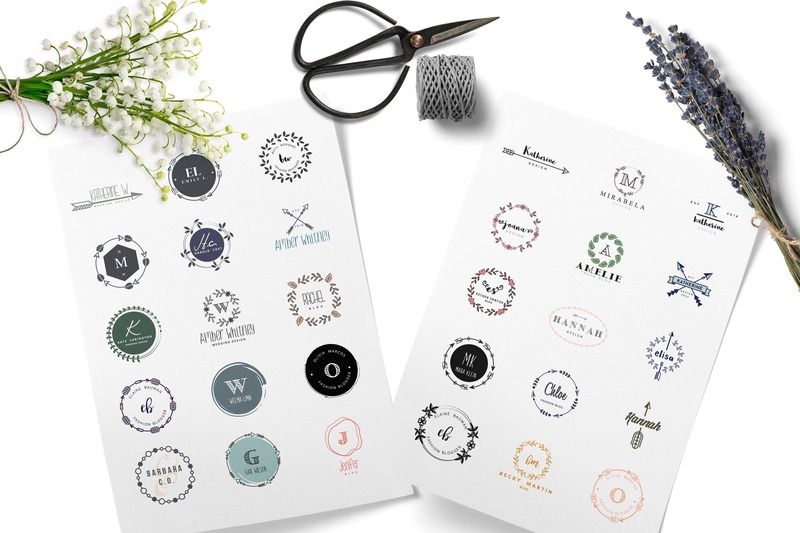 There’s no need to get anxious, though, because we’ve prepared a brief yet concise list of helpful tips that will surely come in handy for the creation of your logo design. Before you can introduce your brand through your logo, you’ll need to get to know your own brand first, from cover to cover. From the origins of the brand to its current status to the company’s mission and goals for the brand in the future. Internalizing the past, present, and future of the brand makes it easier to translate the brand’s identity in the logo. Thinking of logo elements, icons, and typefaces are suddenly clearer and easier. Thus, resulting in a profound and timeless design. As the saying goes, “Keep your friends close, and your enemies, closer”. This applies to brand competition. Be aware of the competition and know them just as well as you know your own brand. Meticulously studying competitor brands means you’ll get an understanding of their strategies, making them predictable. With competitor logos in particular, keep away from imitating their design. You belonging in the same category gives you all the more reason to stand out. Aside from creating your own path in logo design, you’ll avoid turning into a cliche whose designs are similar to every other brand. Having a logo is one way to communicate to your audience and target market. The most effective and successful logo designs are those that create a two-way communication between the brand and the audience, instead of just the brand to the audience. Research on the behavioral patterns and preferences of your audience to identify logo design elements your target market can respond well to. Your logo is the bridge that closes the gap between you and the people. Make it a sturdy one. A good logo design can create a singular image of a complex and multi-faceted brand. A great and creative logo design is one that can successfully incorporate humor and wit in doing so. One of the most common and effective logo design approaches is the Double Entrende, where two separate images/symbols with separate ideas fuse together to form a coherent concept or idea. Colors should never be overlooked in the process of designing a professional logo. Did you notice how most successful brands are those with a dominant red color scheme? That’s because every color has meaning, and those colors have different psychological cues on a human being. Research on the meanings of colors, and on your desired response from the audience should they encounter your logo. Then you can put two and two together. Typography logos are also a welcome and common theme among some brands. There are certain brands that fuse an icon and their typographic brand name, others bank on their brand names alone with a creative typeface. If you’re eyeing typography, make use of one that’s very distinct yet very unique. Better yet, create one for your brand to avoid imitations and copyright issues. Keep your logo designs simple. Don’t be fooled by the idea that a unique and remarkable logo is one that makes use of complicated designs. In fact, the best personal and corporate logo designs are those that can turn everyday icons or images into a distinguishable and unique concept for a brand. Your logo can now effectively and efficiently make abstract concepts more tangible and understandable. This makes association, recognition, and retention so much easier for your target market. Work with what you have. If you want typography for a creative personal logo design, explore all the ways you can customize, scale, and edit a certain letter or text to make it uniquely your own. Fuse images, icons, or subjects that are significant to your brand to create a unified image; one that’s witty and couldn’t have been thought of by anyone but you. Being flexible with your logo design applies to two different scenarios: the creation process and the official logo release. In the initial logo designing stages, it’s usually helpful to come up with several logo mock-ups you can test on different groups of people to measure its potential impact and success. Being flexible in the official logo release, on the other hand, means your logo should be flexible enough to fit in almost any setting. What does it look like when presented on print, fabric, digital, etc.? Is it just as presentable on your office plaque as it would on your stationery and products? Could it be variated to go with the season or special occasion? Yes, there’s a lot that goes on behind the scenes when it comes to an excellent logo design. And that’s something you should learn to enjoy because it builds your brand, and it’s one that will stick with you for quite a long time; might as well mke the most while you’re at it. Keep your logo design ideas fresh and authentic to better come up with a unique logo. You can browse for free logo designs to practice and experiment with, or browse for successful brand logos for inspiration.